2019/02/12 As Jupiter enters its retrograde phase in your sign on February 5, you could have a natural inclination to take stock and consider what is working for you and what isnt. This can include thoughts about your health and how you might increase your energy and feel more vital all around. 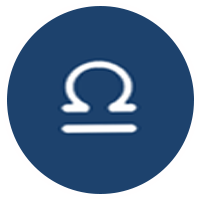 With Neptune still in your wellness zone, your energy could be sapped by being in the wrong company or around too many negative vibes. Part of your health program might be to practice a form of vibrational hygiene, which can mean spending time with positive people in positive environments.